March is officially Women’s History Month, and what better way to welcome its start than by talking about a room which recognizes the strength of the women who have served in Congress. In the 1950s, when the number of women in Congress doubled, it became apparent that there were not enough restrooms for women even remotely near the House Chamber. It took several years before the petition for control of what was then the Congressional Ladies Retiring Room was granted. In 1991, this room was renamed the Lindy Claiborne Boggs Congressional Women’s Reading Room, to honor her fifty-year association with Congress. This was a historical event indeed, as it marked the first and only time a room in the Capitol was named for a woman. Boggs spent nearly thirty years as a confidante to her husband in the world of politics until she won her seat in 1973. She was known for her political prowess, her ability to build connections with fellow Members, her impressive negotiation skills, and perhaps most notably, her contributions to the Equal Credit Opportunity Act in 1974. It’s no wonder that her great influence is the reason behind why this room now bears her name. In terms of art in the Lindy Boggs Room, a portrait of Lindy Boggs currently hangs in the foyer. The portrait includes a replica of the Car of History clock; it was included in the portrait to convey her love of history. This love led Boggs to chair the Commission of the U.S. House of Representatives Bicentenary. The Reading Room also houses a bust of John Quincy Adams and the Botanical Mirror which hangs over the mantel. Photographs of all of the women who have served in the House can be found lining the walls. Today this room is a place for resting and a gathering place for Congresswomen. It is difficult not to ponder all of the discussions that must have taken place in this room, which eventually served to level the playing field for women in politics. For more information, see the House History website. 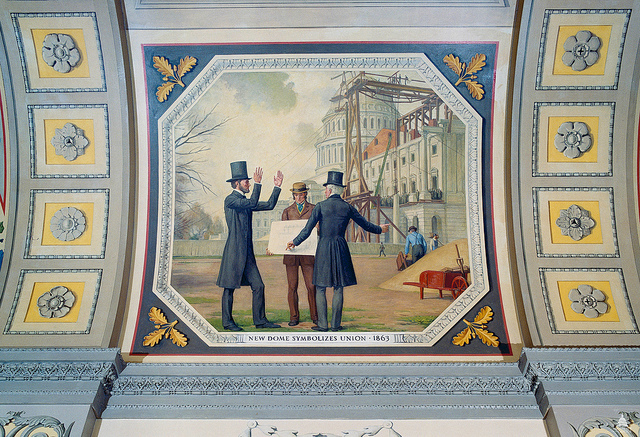 To commemorate Lincoln’s birthday this year, let’s take a look at the story of the 16th President’s involvement with the construction of the Capitol dome. This is especially significant in this year that is the 150th anniversary of the Dome, which was crowned with the Statue of Freedom in 1863. In fact it was in 1863 that an important episode in Lincoln’s involvement with the Dome took place. From a single conversation that year, not reported until four decades later, sprang the story that has gained legendary status that Lincoln ordered the construction of the Dome to continue during the war. After the President had been questioning me for some time, he quickly turned the conversation one side, as if he realized the severity of his catechism, and asked me what I had seen since my arrival in the city. I reported a visit to the Capitol, then in process of construction, whereupon Mr. Lincoln asked what the workmen were doing. I told him that they were about to raise the body of the statue of Liberty to the dome, and that on the Senate wing they were preparing the pillars for installation. The President remarked that there were some people who thought the work on the Capitol ought to stop on account of the war, people who begrudged the expenditure, and the detention of the workmen from the army. He went on to say that in his judgment the finishing of the Capitol would be a symbol to the Nation of the preservation of the Union. “If people see the Capitol going on, it is a sign we intend the Union shall go on.” He expressed his belief in the final triumph of the Union cause. There would be reverses and much bloodshed, but finally the Union army, he felt assured, would be victorious. 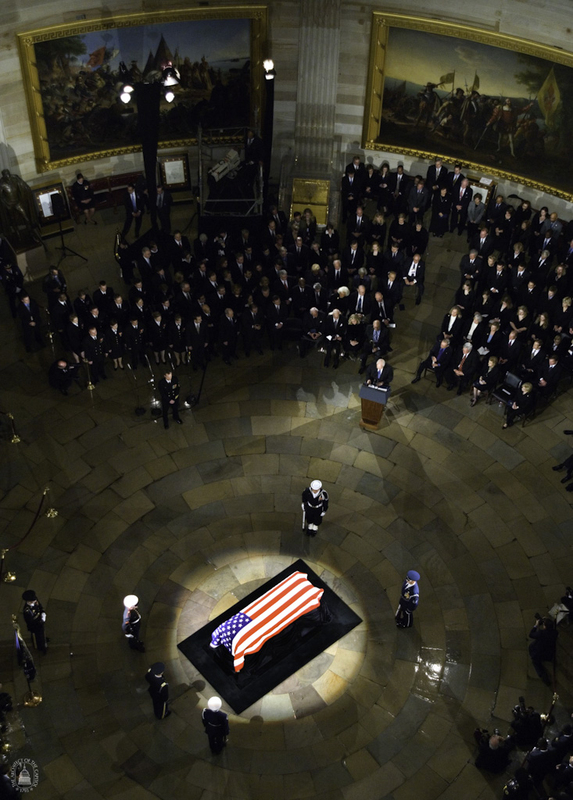 Lincoln was not alone in his belief that the Dome was a powerful symbol of Union. The poet Walt Whitman, who served as a nurse in the nation’s capital tending wounded soldiers, recorded similar sentiments. On March 1, 1865, he noted: “To-night I have been wandering awhile in the capitol, which is all lit up. The illuminated rotunda looks fine. I like to stand aside and look a long, long while, up at the dome; it comforts me somehow.” Lincoln had once referred to the United States and its experiment in representative self-government as “the last best hope of earth.” The construction of the Dome was to the people of Lincoln and Whitman’s generation a reassuring symbol of that hope. At a quarter past noon on Wednesday, December 2, 1863, thirty-five cannon boomed on Capitol Hill, answered by similar salutes from nearby forts that formed the Civil War defenses of the nation’s capital. What had happened? Was it a warning of a Confederate attack (kind of a foreshadowing of Jubal Early’s raid the following July)? Or was it an announcement of a major Union victory? No, it was a military salute (one cannon fired for each of the thirty-five states) to the Statue of Freedom that had just been installed upon the dome of the United States Capitol. Walter thought that he had been put through hell as architect of Capitol extension and the new dome. His pride and considerable ego as a “professional architect” keenly felt every slight by the politicians, bureaucrats, and the army engineers with whom he had to contend, especially in his epic battles when Montgomery C. Meigs of the Army Corps of Engineers had been supervising engineer of Capitol construction. Now, Walter just wanted to see the statue safely put in place and for work to continue unabated. Any celebration, especially one that would involve his workmen imbibing demon rum, might mean time lost and all that that implied for his professional reputation, and that he could not abide. This much of the event has been briefly told before, in William C. Allen’s writings about the dome and in Guy Gugliotta’s new book, Freedom’s Cap. Katya Miller, a current U.S. Capitol Historical Society research fellow, has become interested in the details of Walter’s opposition to anyone making a speech at the installation and she provided me with some of the documentation she has examined. Walter’s stance was in direct reaction to the intention of Capt. Charles F. Thomas, the chief machinist who was in charge of the statue’s installation, to make a lengthy speech on the occasion. Thomas and Commissioner of Public Buildings Benjamin B. French thought that the installation of the Statue of Freedom was well worth celebrating and publicly commenting upon, coming as it did at such a pivotal time during the Civil War, when freedom had been officially recognized as a Union war aim with the Emancipation Proclamation and slavery abolished in the District of Columbia. Thomas and French were committed to the Union cause and both lamented that Thomas was prevented from speaking. The officials at whom French aimed his animus were Walter and the Interior Department officials who took the architect’s advice and issued the orders banning speeches and celebrations at the Capitol. French’s accusations against Walter were at least partially accurate. Prior to the war, Walter was a pro-Southern apologist and most of his political patrons were Democrats, including the notorious Secretary of War John P. Floyd of Virginia (who later became a general in the Confederate Army). Although he was from Philadelphia, Walter owned a slave while residing in the District of Columbia when the war began. By 1863 he was avowedly pro-Union, but the depth of his conviction evidently did not extend to permitting Thomas to deliver the unabashedly pro-Union speech he had planned for Freedom’s installation. William C. Allen, The Dome of the United States Capitol: An Architectural History (Washington, D.C.: Government Printing Office, 1992). William C. Allen, History of the United States Capitol: A Chronicle of Design, Construction, and Politics (Washington, D.C.: Government Printing Office, 2001). Donald B. Cole and John J. McDonough, eds., Witness to the Young Republic: A Yankee’s Journal, 1828-1870 (Hanover, N.H.: University Press of New England, 1989). Guy Gugliotta, Freedom’s Cap: The United States Capitol and the Coming of the Civil War (New York: Hill and Wang, 2012). Charles F. Thomas, Speech of Captain Charles F. Thomas, of Massachusetts, Superintendent of Construction of the Dome of the Capitol of the United States, at Washington, D.C., Delivered by Him Standing on the Apex of the Statue of Freedom, December 2, 1863 (Washington, D.C., 1863). One of the first stops along your Capitol tour will be the Old Supreme Court Chamber. Located just to the right of the original front door of the Capitol, the Old Supreme Court served as the home for the Senate from 1800 until 1808. In 1810, the Supreme Court moved in. Over the next fifty years, the Supreme Court would hear some of the most important and controversial cases in its history. The court used this room during the antebellum period, the era leading up to the start of the Civil War in 1861. The Amistad case and the Dred Scott case were both heard and decided in this chamber. Two of America’s most famous chief justices served in this chamber as well—Chief Justice John Marshall and Chief Justice Roger Taney. The Supreme Court would eventually get its own building, but not until 1935. The court vacated this chamber and moved to what is now the Old Senate Chamber in 1860. 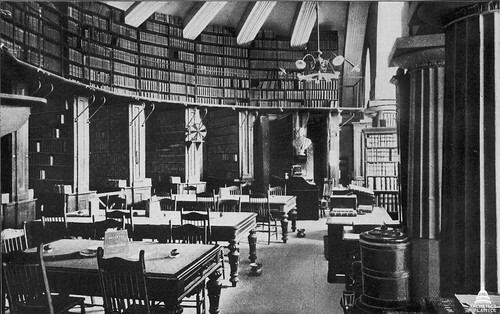 The first chamber then served as a law library until 1951. The Old Supreme Court chamber is also one of the most historically accurate rooms in the Capitol, a fact that always gets this self-proclaimed history nerd very excited. 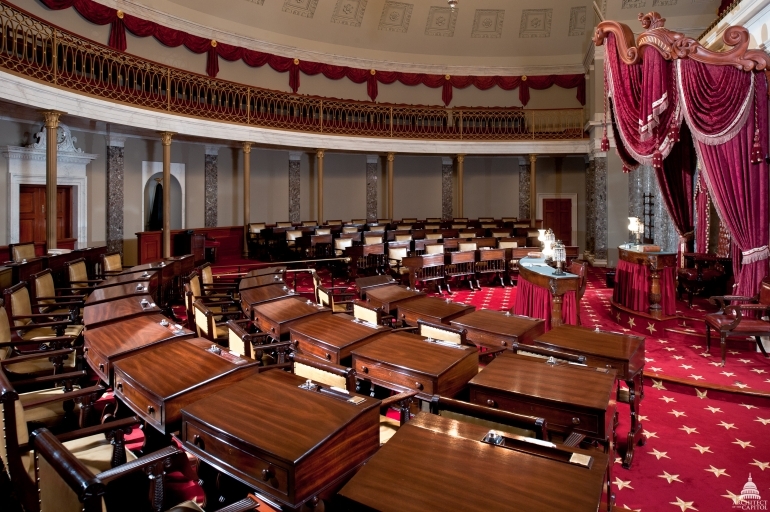 The furniture in the front of the room, including the chairs and desks that the justices would have used, are all from the mid-nineteenth century. The clock on the back wall, above the fireplace, has been ticking away the minutes since 1837, always five minutes ahead of Eastern Standard Time, by order of Chief Justice Taney, to ensure courtroom promptness. It helps keep tours on track, too—don’t let your group move ahead without you! From 1807 to 1857, the House met in an echo-riddled but beautiful chamber called the Hall of the House. When a major Capitol expansion project began in 1850, House members were delighted by the prospect of moving to a room with better acoustics. Once the move was made, however, questions continued to reverberate in the Hall–what to do with an august but empty large room? Various proposals surfaced over the years, but Congress eventually settled on “art gallery” as the answer. The space had already hosted displays of art when, in 1864, Congress passed an act allowing each state to donate two statues of prominent (deceased) state residents to the Capitol–for display in the Old Hall of the House. 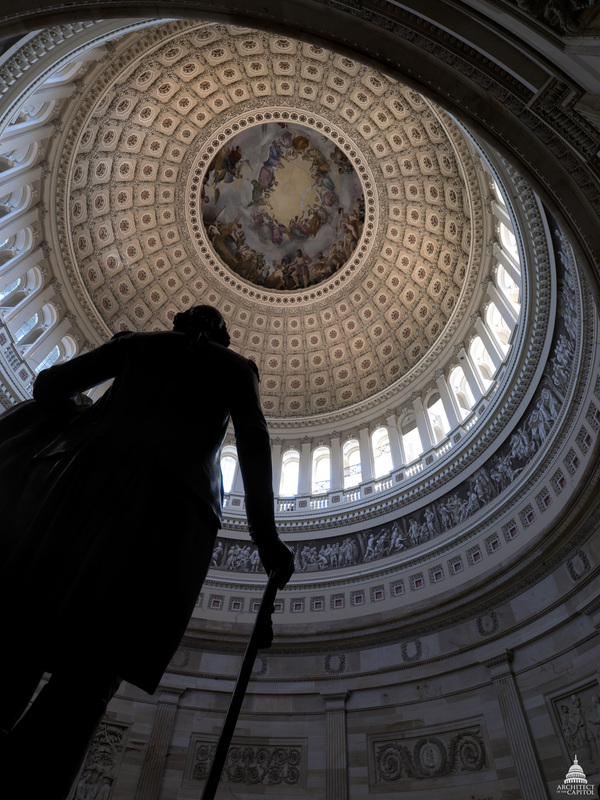 The change in purpose brought a change in the room’s name; because Congress intended to house a national collection of statuary there, it was renamed National Statuary Hall. In 1933, Congress had to authorize the extension of the collection’s display throughout the Capitol–National Statuary Hall had become far too crowded, which also raised concerns about the weight of all that marble and bronze. Now pieces from the collection appear in the Hall, in the Capitol Visitor Center, and elsewhere in the Capitol. The history of this space actually includes two rooms: the first, designed by Henry Latrobe, was burned in 1814 when the British came to Washington near the end of the War of 1812. Latrobe and Charles Bullfinch rebuilt the chamber as they rebuilt finished sections of the burned Capitol and added previously unfinished portions. The chamber to which the House moved in 1857 is the one it currently occupies. You’ve seen it on TV, and not just on C-SPAN: the president delivers the State of the Union in the House Chamber. Some of the most momentous debates in US history occurred in the Old Hall, as the young nation confronted the realities of part slave/part free country. Several future (and past) presidents served in the Hall, included Abraham Lincoln (1847-49) and John Quincy Adams, who was elected in 1830 after his time as president and suffered a fatal stroke while at his desk in the chamber. Today, the ornate space is one of the main stops on a Capitol tour. If you have the chance to take the tour, be sure to ask your guide about the “whisper spot.” All kinds of (not necessarily true) stories abound about this acoustic trick, by which a person standing near one side of the room can hear a whisperer near the other side of the room. While the stories about eavesdropping may not be true, the actual phenomenon is–don’t miss your chance for a demonstration! When I began working here just over a year ago, the Old Senate Chamber in the Capitol was undergoing renovations that began earlier in 2011, and it was not until just a few months ago that the room was reopened to the public and that I finally got my first glimpses of the historic chamber. Having undergone a restoration in 1976 in celebration of the nation’s bicentennial, this most recent one also brought the room back to its mid-19th century look and feel. Given that it is considered one of the oldest, as well as most hallowed rooms in the Capitol, I thought it would be fun to examine a bit of its rich history. In 1790, the Residence Act was passed as a compromise to move the capital to an area along the Potomac River, and so began the ten year span of finding the right spot and the right person to tackle the job of constructing what would eventually become the Capitol. Dr. William Thornton, the architect hired to take on this massive responsibility, designed the original senate chamber that was located on the main floor in the north wing of the new structure, the first part of the building that was constructed; however, after a mere six years, the room was literally falling apart. Benjamin Latrobe, who had taken over as Architect of the Capitol, examined the dilapidated state of the chamber and the north wing and concluded he should gut it and reconstruct it all, which he did. Latrobe raised the chamber up a level to be even with the old House chamber (what is now National Statuary Hall), with the lower chamber reconstructed and used to house the Supreme Court from 1810 to 1860. Once construction on Latrobe’s new Senate chamber was complete in 1810, the men moved in, although their tenure there would suffer a serious interruption as a result of the burning of the Capitol by the British in August 1814 during the War of the 1812. The chamber had to once again be renovated and reconstructed, this time by Charles Bulfinch, who expanded the room to its current size and finished the repairs in 1819, allowing the Senate to once again reconvene in their chamber until 1859, at which point they moved into their current chamber. The current chamber was constructed, along with a new, bigger House chamber as well, as a result of the quickly growing size of the United States due to westward expansion. The Supreme Court would move upstairs in 1860 and occupy the Old Senate Chamber until 1935 when it finally got its own building across the street from the Capitol. Aside from the history of the room itself, of far greater import was what happened in it and who served there between 1810 and 1859, a period known as the “Golden Age” of the Senate, in which three of the greatest senators and orators in our country’s history served there: Henry Clay (Kentucky), Daniel Webster (Massachusetts), and John C. Calhoun (South Carolina). 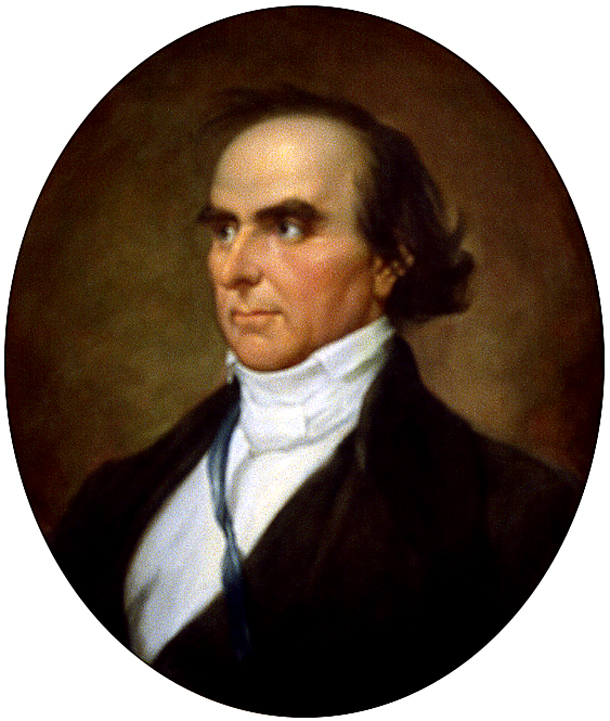 Clay, known as the Great Compromiser, had also served as Speaker of the House, a role which he transformed from one of largely formality, into the modern speakership we know the role to be today, which is the leader of the majority party and House agenda setter, not to mention the third in line to the presidency (a more recent occurrence, however). As a senator, Clay would also help orchestrate two of the most important compromises in American legislative history—the Missouri Compromise and the Compromise of 1850—both of which helped to preserve the Union, putting off, temporarily, the seemingly inevitable Civil War until 1861, when all three men were no longer alive to see the fracture of the Union (both Clay and Webster died in 1852, while Calhoun passed away in 1850) or work to prevent it. Calhoun was known for many things, including being the architect of a policy called “nullification,” an idea many southern legislators became enamored of, which asserted that any law the federal government passed that a state deemed was not in their best interests could be ignored by that state without penalty. Despite his very states’ rights oriented view of things, Calhoun was also willing to work to compromise with his colleagues in the Senate, a lesson not always adhered to in our current political climate. On the ideological flip side from Calhoun was Webster, the anti-slavery Northerner. Webster in fact delivered, over two days, what is still called the “greatest speech in Senate history,” in his rebuttal to a statement by South Carolina Senator Robert Hayne, a Calhoun surrogate, beginning on January 26, 1830. In what is known formally as the Second Reply to Hayne, Webster rebutted Hayne’s claim that the United States is really just a collection of sovereign states of which one can leave at any time, by saying that the Union was rather a “popular government, erected by the people; those who administer it are responsible to the people; and itself capable of being amended and modified, just as the people may choose it should be.” Needless to say, the gallery was packed during Webster’s speech, as it was so many times during the great debates that took place in that Old Senate Chamber. At this point, I would argue that this is more than long enough (some of you may have already stopped reading, which I can’t really blame you for), and due to this, be sure to stay tuned for a follow up post on the caning of Charles Sumner, one of the most well-known stories in Senate history, which also took place in the Old Senate Chamber, and that I did not get a chance to cover today. With such a rich and elaborate history to delve into, from both the architectural and historical aspects, there was much to choose from and not all of it could make it in here. I must say that I was truly excited the first time I was able to get a glimpse of the renovated chamber, even before I knew what to expect, and now I know why. I hope you all get a chance to visit the Capitol and check it out soon, if you haven’t already. 1: the number of presidential inaugurations that took place in the Rotunda (Pres. Reagan’s 2nd Inauguration was on Monday, January 21, 1985 and was moved indoors from the West Front of the Capitol when the weather was predicted to reach a high of 7 degrees, with a wind chill of -20 degrees. It remains the coldest inauguration on record).